Choose a light blue denim long sleeve shirt and grey jeans for your little angel for a trendy and easy going look. Round off this look with green-yellow sneakers. Suggest that your child opt for an Old Navy denim shirt for toddler and grey jeans for a comfortable outfit that's also put together nicely. 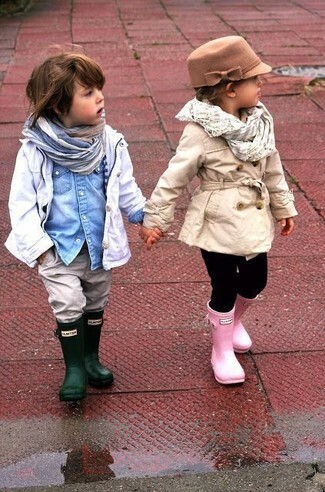 As for footwear your child will love dark green rain boots for this style. 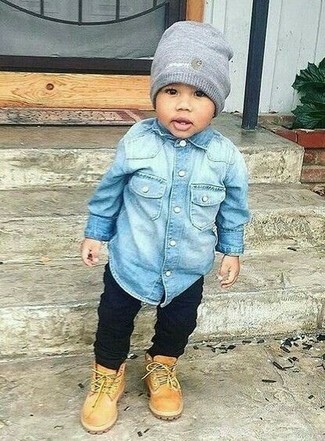 Consider dressing your child in an Old Navy denim shirt for toddler with charcoal jeans to get a laid-back yet stylish look. 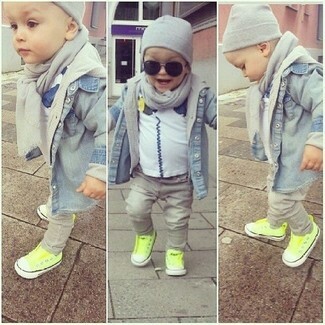 As for footwear your child will love blue sneakers for this getup. 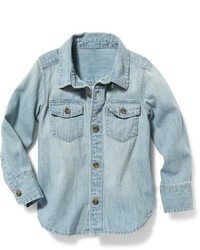 This combo of an Old Navy denim shirt for toddler and black jeans has all the potential to become your tot's favorite. As far as footwear is concerned, suggest that your boy go for a pair of tan boots. 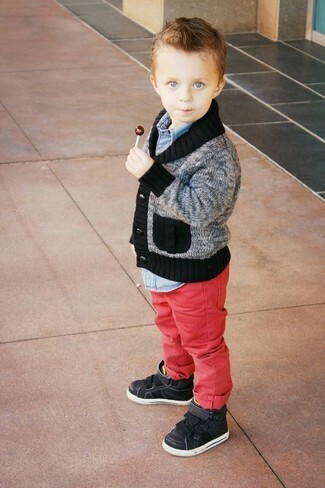 Dress your son in a light blue denim long sleeve shirt and red jeans for a trendy and easy going look. Black sneakers are a nice choice to complete this ensemble. 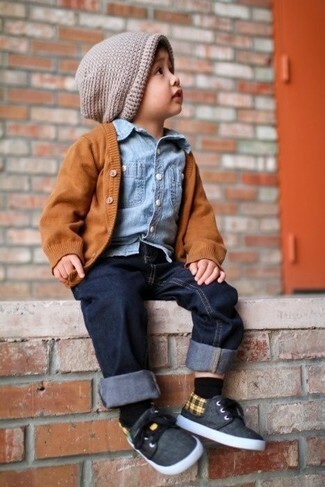 Help your little one look fashionable by suggesting that he opt for a light blue denim long sleeve shirt and navy jeans. This look is complemented nicely with charcoal sneakers. 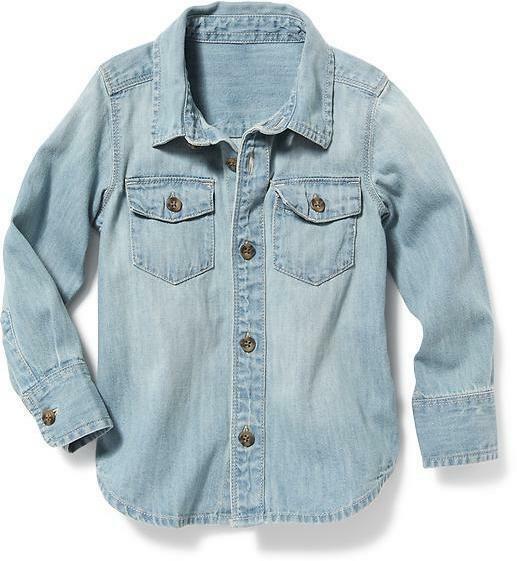 Suggest that your little one pair a light blue denim long sleeve shirt with beige jeans for a trendy and easy going look. Navy sneakers are a savvy choice to complement this outfit.